Mason jars have become all the rage and for a good reason. Jars can be used for storage or everyday stuff or used as a beverage cup. They are also becoming trendy to paint and place flowers in. 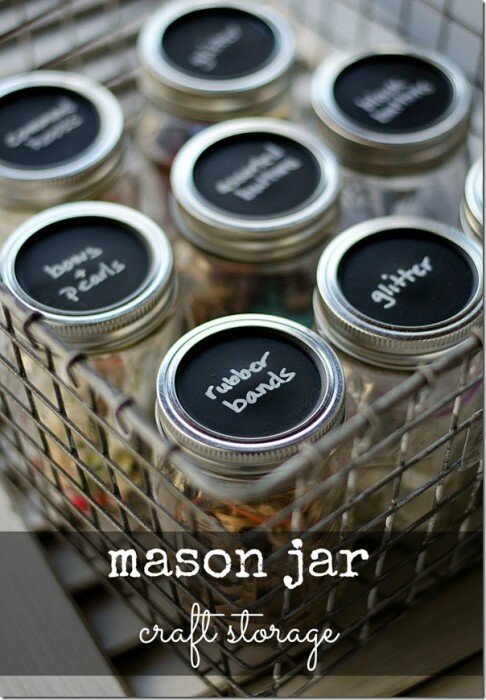 Mason jars are a great way to store things neatly. You can make these chalkboard labels in minutes using chalkboard paint. It’s a great way to keep track of office items and even store food. So simple and yet effective. With all the left over jars from canning season, this craft is a great way to use up extra jars that would otherwise just sit in a corner collecting dust.